Online registrations have been launched for Run4Niine, India's largest nationwide run for menstrual hygiene awareness, on 9th February to coincide with the one-year anniversary of the world’s first major feature film on menstruation, Pad Man. 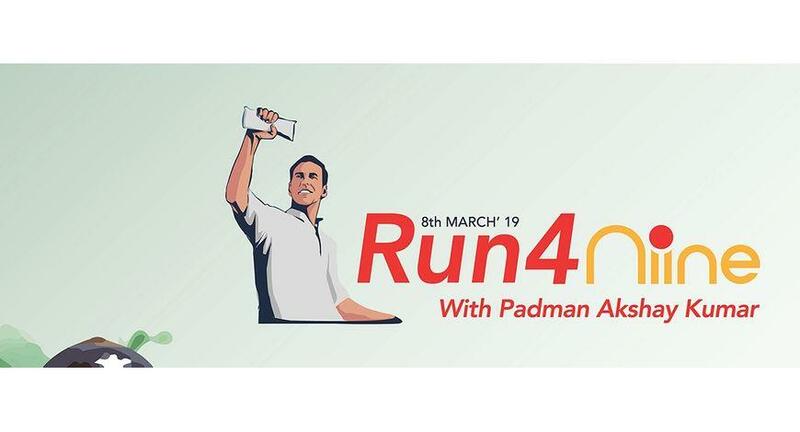 Bollywood star and India’s ‘Pad Man’ Akshay Kumar will join forces with the Niine Sanitary Napkins for Run4Niine, which will take place in hundreds of cities across India on the 8th of March 2019 to mark International Women’s Day. With Runs taking place in Lucknow, Gurgaon, Ludhiana, Mumbai, Amritsar, Jaipur, Kolkata, Goa and several other cities across India, registration for the run have officially opened.